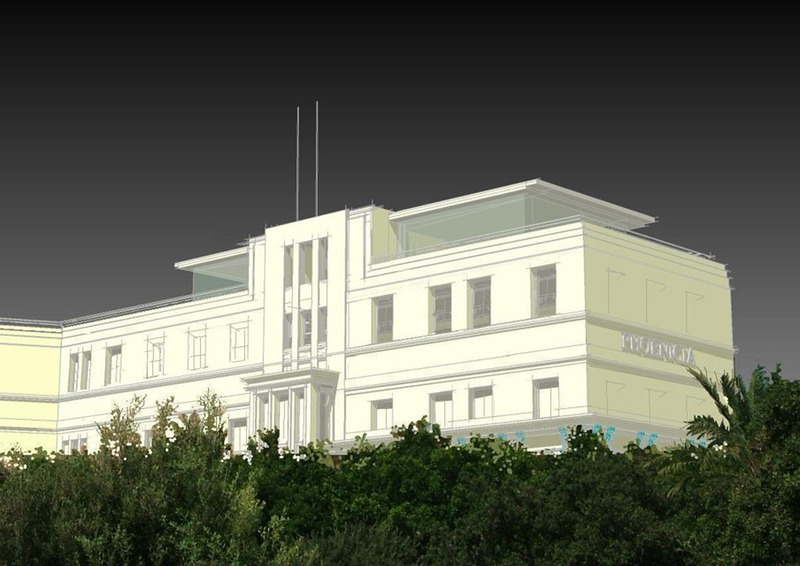 The brief aimed at the insertion of this 1930s hotel within the rehabilitation project for the area spanning between City Gate, the ex-bus terminus and Floriana ex-parade ground. It included the restoration of the facades, the renewal of the back-of-house, the provision of new terraces on the roof of a new wing housing the spa and the requalification of the surrounding gardens and pool area, creating a contemporary experience paying tribute to both the art déco structure and the 16th century fortifications. The extension of the stair towers on the facades and the creation of a copper cornice to unify the 1990s additions, whose frontispieces and roof structures were replaced with sky suites, form part of an overall masterplan that envisages the requalification of the hotel’s grounds. This includes a new pool area that restores the legibility of the hotel's original architecture while drawing the curtain back on the greater city context. An infinity edge blurs the boundary between the pool and the sea beyond, and shallow steps running along the whole length of the pool create the effect of a beach at the foot of the bastions. The masterplan for the regeneration of the Phoenicia was divided into 4 phases related to 8 main areas of interest and to the client’s brief. Phase 1, which has recently been completed, focused on zones 1, 2 and 6. It included the restoration and extension of the main building and the redevelopment of the pool area at the foot of the bastions, aiming at a contemporary experience paying tribute to the prestige of the pre-existing structure. The main objective was to put forward a viable project that can function holistically as one efficient five star hotel operation. 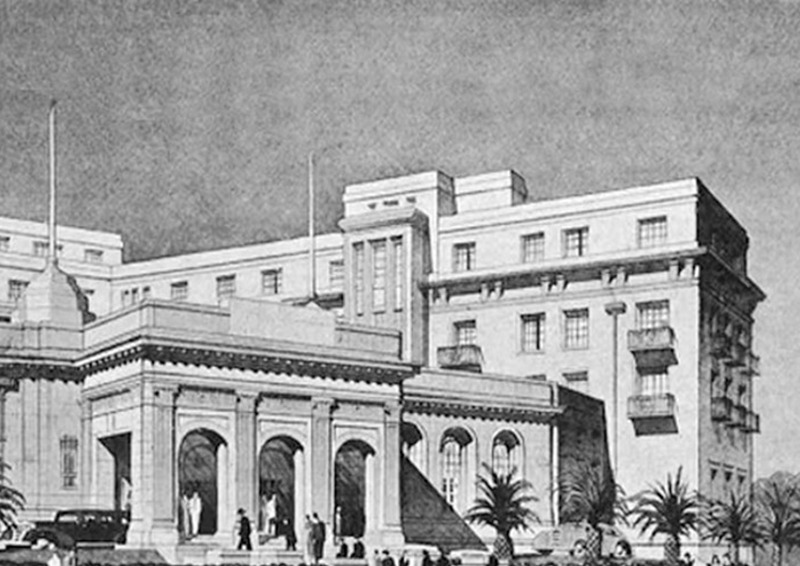 The 1930’s Scheduled Phoenicia Hotel building, designed by Lt.-Col. W. B. Binnie for Lady Strickland. The site has excavated and remodelled the original topographical profile removing for good the historic ‘Place-of-Arms’ and landscaped lunette. Unfortunately a top floor was extended in the 1990s which did not pay too much respect towards the original building’s architecture. The extension of the stair towers on the facades and the creation of a copper cornice to unify the 90s additions, whose frontispieces and roof structures were replaced with sky suites, form crucial part of the overall masterplan that envisages the requalification of the hotel’s grounds. The ‘Rotunda garden venue’. The site has been excavated and refilled to its present profile. It originally held the ‘Rotunda’ external ballroom dance floor. The Old Stables within St. John’s Ditch are two historic colonial buildings which are condemned and derelict, In recent past this zone was used as a car park and the buildings turned into garages. The Phoenicia Gardens. The landscape does not reveal its original profile, it has been remodelled heavily with fill to a higher level in order to sustain its green landscape. The Laundry Building, derelict and dominating this whole section of the ditch. The Pool and related facilities. The new pool area restores the legibility of the hotel’s original architecture while drawing the curtain back on the greater city context. 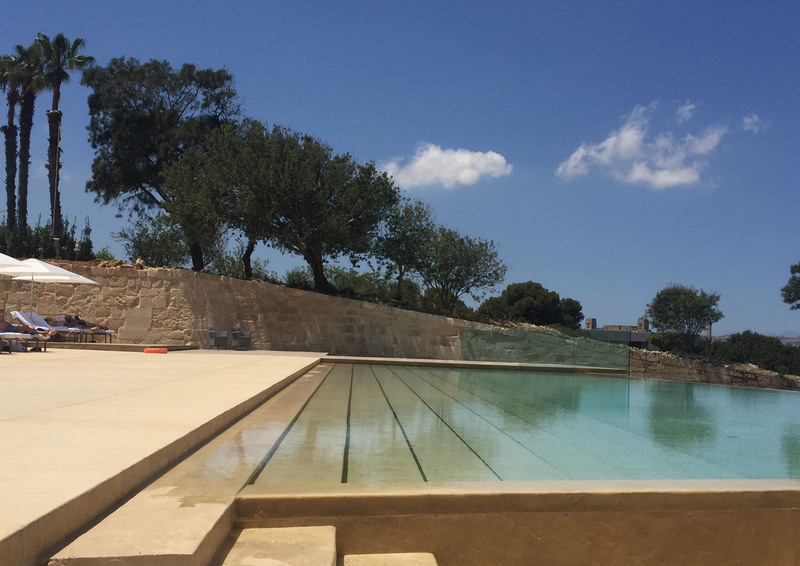 An infinity edge blurs the boundary between the pool and the sea beyond, whilst shallow steps running along the whole length of the pool create the effect of a beach at the foot of the bastions. The pool follows the pre-existent historic slope towards the harbour, without creating new structures that compete with the massive scale of the surrounding bastions. The Protected Glacis. This zone holds the most precious part of a similarly dishevelled but original part of the ‘Glacis’ together with a ‘Place-of-Arms’ and its connections to the neighbouring Counter Guards. St. Rocco Baths. This disconnected site holds the historic rock-cut baths and public building which survived until the War. Abandonment of the site has lead to further destruction and dereliction. All the new structures are invisible, enhancing the massive scale of the surrounding bastions.